Welcome to the LiquidSonics Store where you can purchase licenses for all of our desktop plug-ins. We accept payments by PayPal and major credit cards (directly or via PayPal). All prices are quoted inclusive of any relevant sales taxes. For great savings take a look at our bundles. For education discount options please contact us via support for further details. Large volume purchases qualify for a discount of 10% over $500 and 20% over $1000. LiquidSonics’ Seventh Heaven is dedicated to the reproduction of the most sought after hardware reverberation tool of a generation – the Bricasti M7. 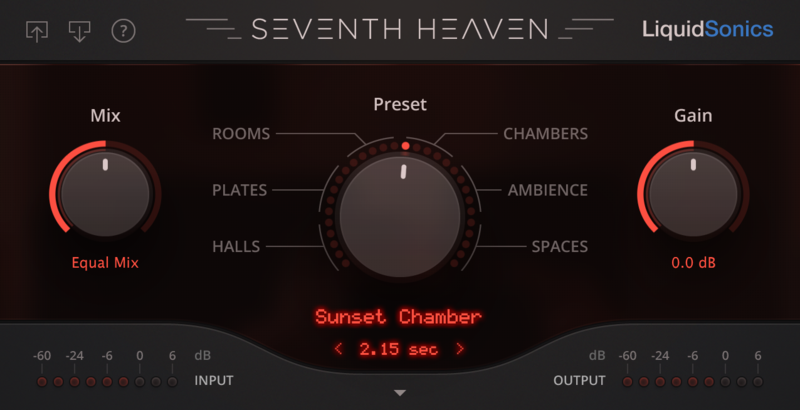 By combining the realism of Fusion-IR with an extensive multisampling of the M7, the Seventh Heaven product range has the quality of a modulated convolution reverbs and the flexibility of an algorithmic reverb. Seventh Heaven and Seventh Heaven Professional require iLok Cloud or an iLok 2/3 dongle (available for purchase separately from music technology retailers or Amazon). Lustrous Plates recreates the beautiful tone of seven classic plate reverbs using LiquidSonics’ new Temporal Acoustic Spectral Mapping (TASM) technology. Lustrous Plates is available directly from LiquidSonics or as a part of the Slate Digital Everything Bundle. Illusion supports iLok local computer-based authorisation, iLok Cloud, or via the iLok 2/3 dongle. 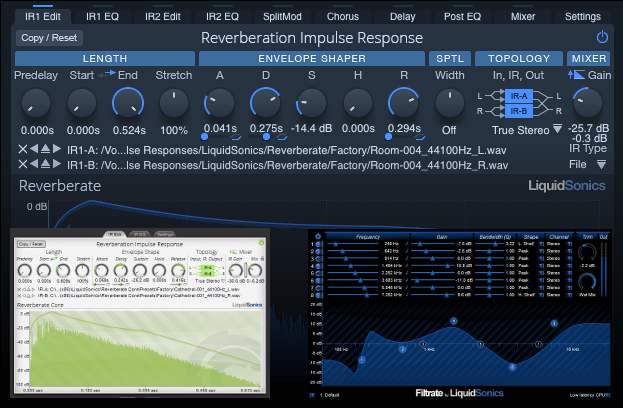 LiquidSonics’ Illusion is a revolutionary new reverb plug-in and introduces Fusion-IR | Synthesis, a groundbreaking evolution of the industry leading Fusion-IR modulated convolution technology. 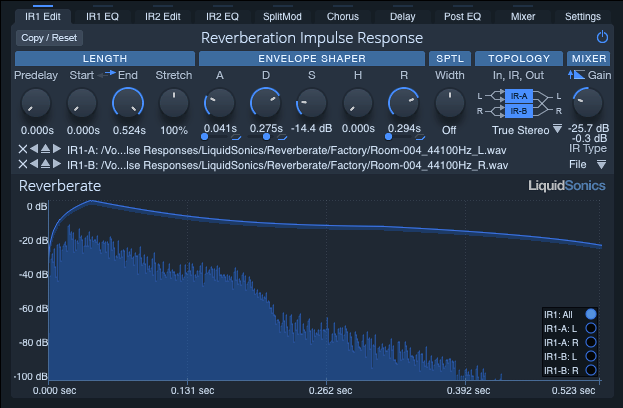 Illusion goes beyond the abilities of traditional algorithmic reverbs by using a totally new approach to reverb simulation with a suite of highly advanced reverberation technologies that are impossible to implement with any other system. It represents nothing less than a revolution in contemporary reverb design. The general purpose convolution reverb Reverberate is available in numerous variants suiting a wide range of requirements. From the top of the range Reverberate 2 with Fusion-IR for advanced modulation effects to Reverberate LE made available as charity-ware for no fee, there is a price and feature set for everybody. 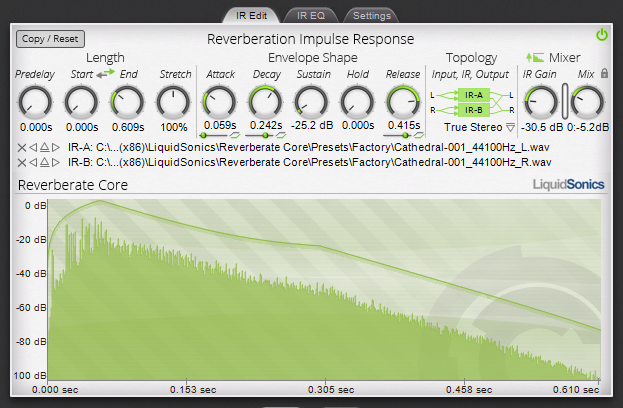 Reverberate 2 and Reverberate Core are licensed via traditional license files delivered via email, an iLok is not required. The linear phase equaliser plug-in for Mac and PC for VST and AU. 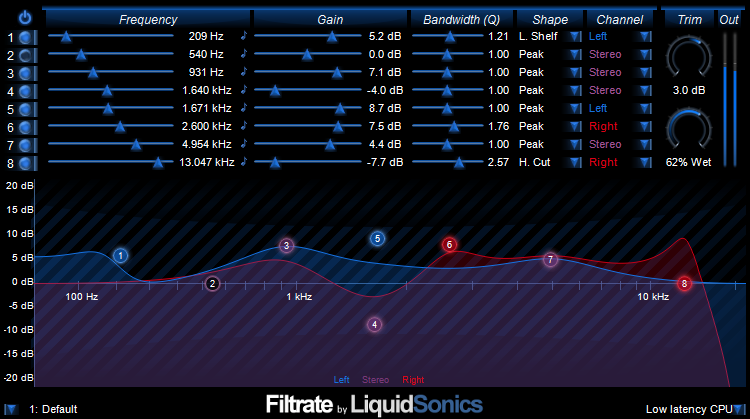 Filtrate is licensed via traditional license files delivered via email, an iLok is not required.